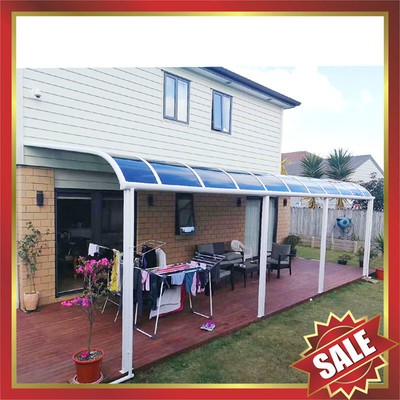 aluminium awning/canopy, gazebo shelter,patio shelter for house and garden,beautiful modern waterproofing house product! The light transmission reaches 12%-82% depending upon colour and thickness. Practical hollow form reduces the energy consumption,therefore, saves the energy cost. Its outstanding toughness offfers greater protection against breakage during transportation,installation and usage.The impact strength is 10-27 times as much as original glass. Fire retardanct grade B1 is decided by the national Gb8624-97 test,without fire drop nor poisonous gas. 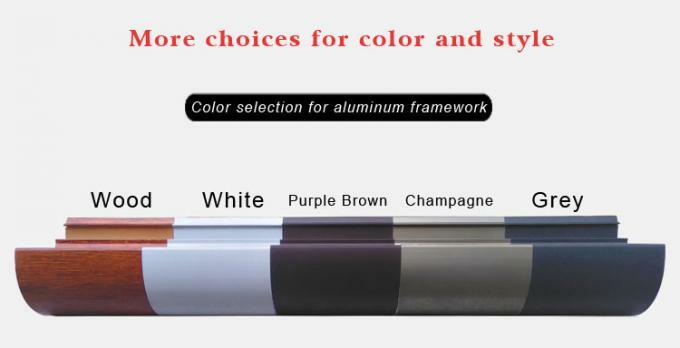 attributing to proprietary UV surface,Nature pc sheet remains perfect mechanical and optical performance after exposed to extreme weather for a long time. The hollow form and polycarbonate resin offer significant advantage for sound insulation. It has super-weather ability,which maintain excellent performance in wide temperature range from -40 to 120. 3,Great hear insulation.The big rise of inside temperature could be shielded by shed panels. 4,Good weather resistannce. 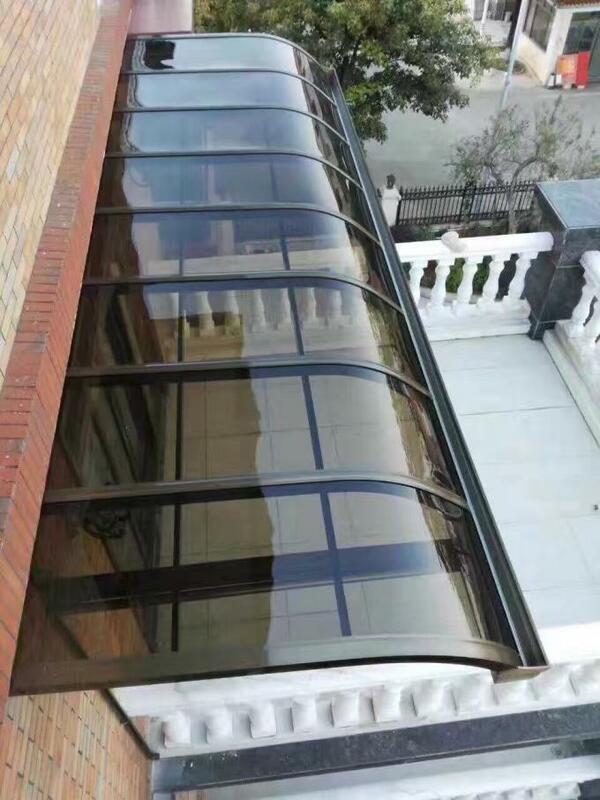 polycarbonate can work at temperature range-40℃ to 120℃ and won't change its feature. 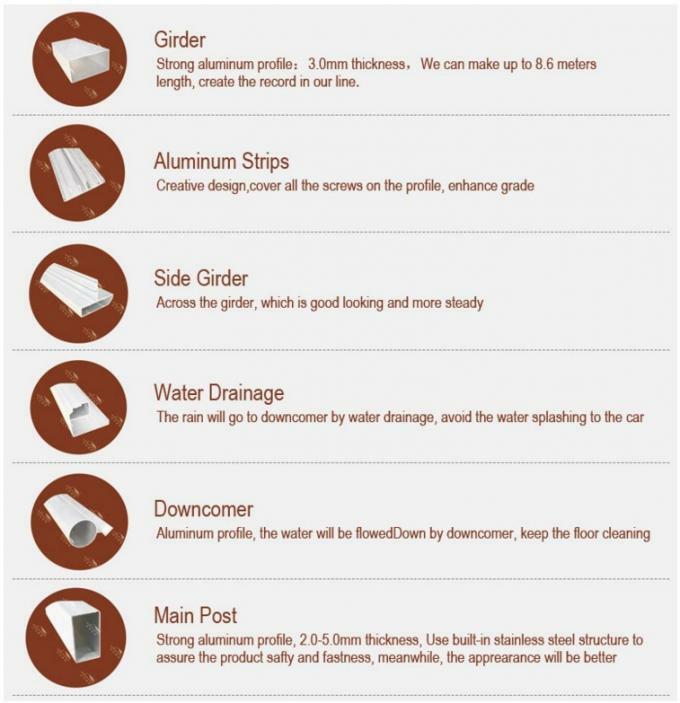 Article seal is EPDM.The advantage is prevent leakage. This is very important for the carport. Two or more units can be jointed together in various ways,in order to provide a wider range of diamesions in different topologies. 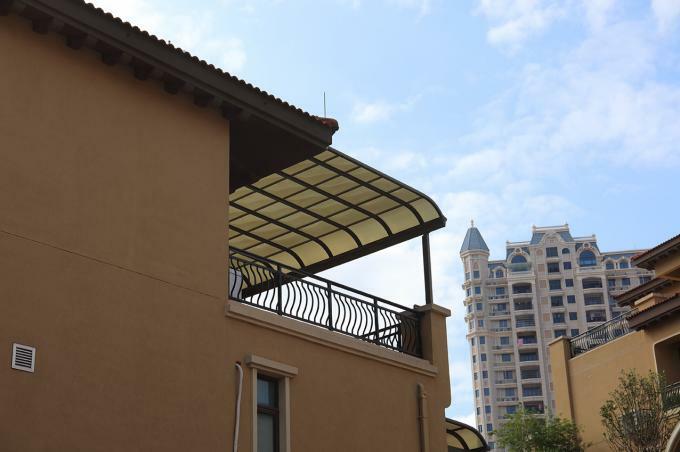 polycarbonate aluminium awning/canopy, gazebo shelter,patio shelter,modern fashion sunshade building shelter!